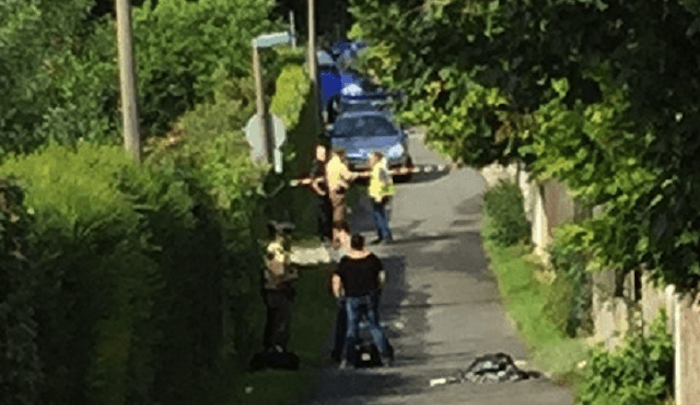 This is possibly today’s jihad attack, in what has become a daily series in Germany. And they’re just getting warmed up. In this case, the choice of target is piquant, but after all, the Qur’an commands jihad against Infidels, not jihad only against Infidels who are unkind to the Muslims. Authorities, meanwhile, are no doubt searching for motive. An explosion had occurred in the “immediate vicinity” of a German migrant reception centre operated by the Federal Office for Migration and Refugees (BAMF) within the past hour, according to reports. Germany’s Bayerischer Rundfunk (Bavarian Radio) reports an explosion in Zirndorf, a small town near Munich. The so-called device appears to have been a suitcase stuffed with aerosol cans. It is reported burning remains of a suitcase was found in a garden and “several Arab-looking men” were seen fleeing from the scene. No motive is known. A police spokesman said there had been an operation after the explosion, and heavily armed police and dog patrol units have been seen deployed to the area. The explosion took place approximately 200 meters away from the reception centre, a government facility where newly arrived migrants are housed while their details are being processed, and before they are moved elsewhere. No casualties have been reported….